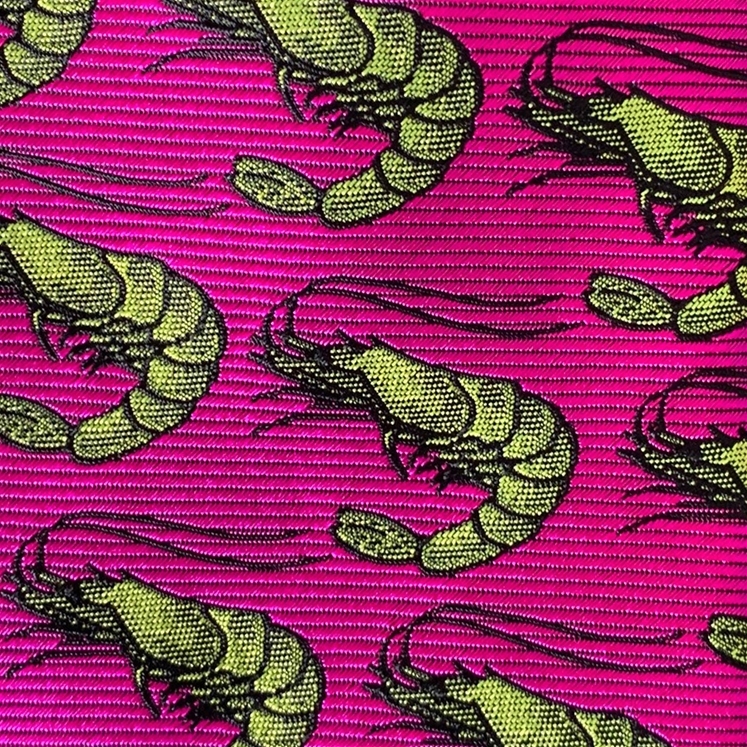 A limited edition design that is part of our celebratory 20 year collection. 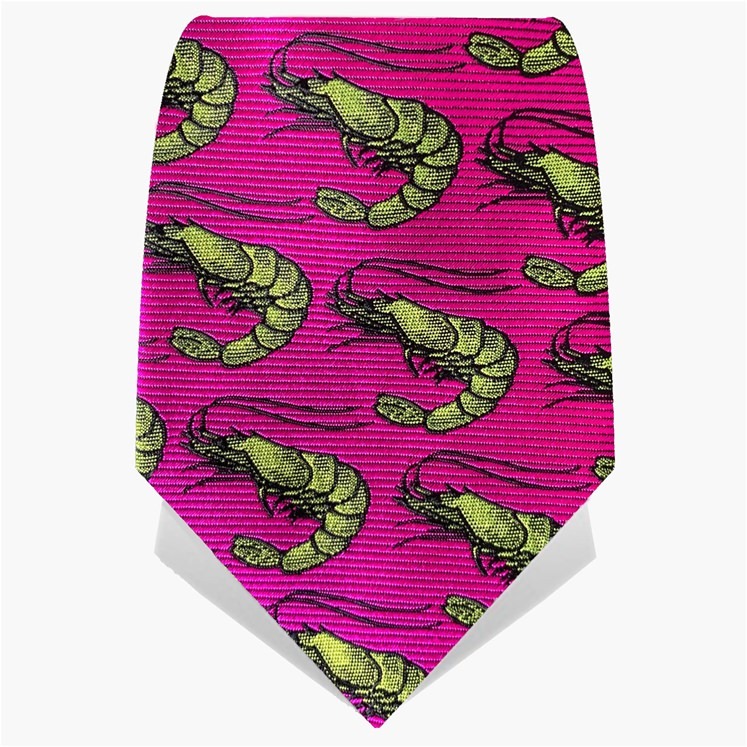 Fuchsia pink background adorned with pale green shrimps, highlighted in black. 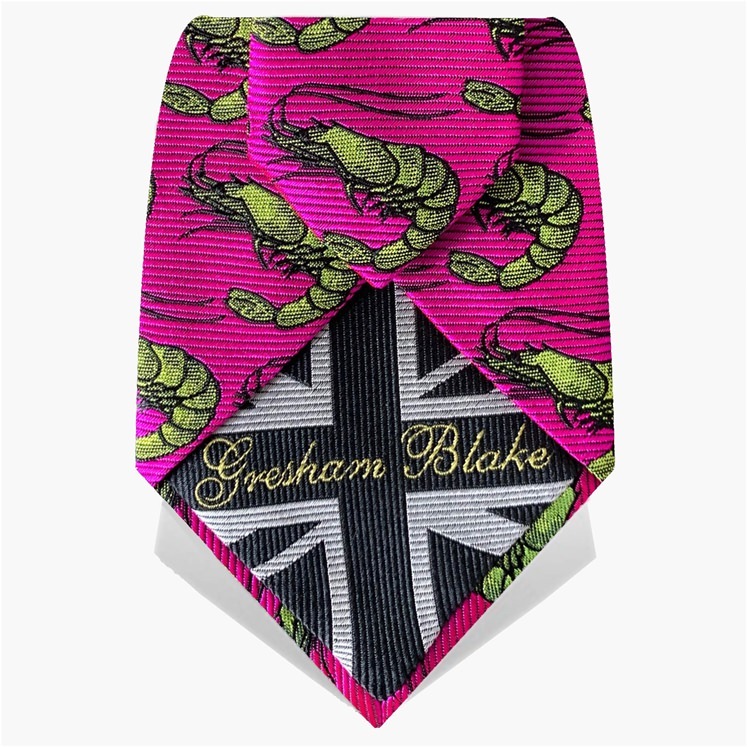 Tie features the unique Gresham Blake Union Flag tie tip. Made in England. 175cm X 8cm. Available in more colours.